Below is a new video tutorial where I discuss how to create an inexpensive pair of gymnastic rings. 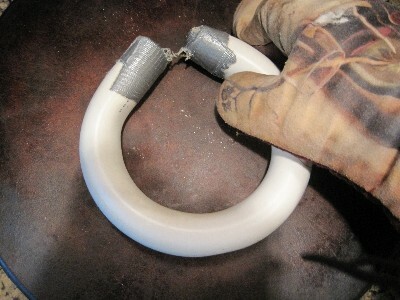 As mentioned within the tutorial, the rings were created from 1 inch PVC and flat nylon straps (each 15 feet in length).Â The straps were purchased from strapworks.com. Each flat nylon strap has a moto cam buckle that allows for quick and easy length adjustments. The moto cam buckle is stronger than the standard cam buckle at strapworks.com.Â The upgrade will cost you less than a dollar each. PVC handles are easy to make.Â The gymnastic ring handles are 23.5 inches long.Â I also created a smaller set of handles that can be used with a suspension trainer.Â Below are a few pictures that detail the process. 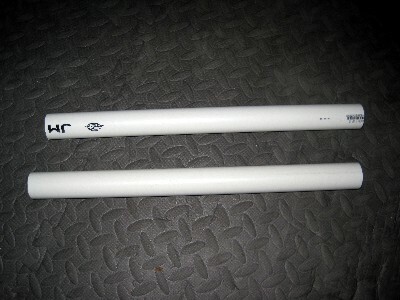 First, you will cut two even pieces of PVC.Â I then suggest sanding the ends to remove any rough edges. 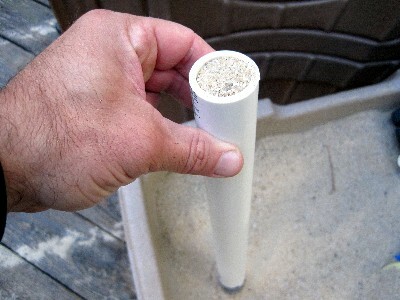 Next, you will cap one end of the PVC with duct tape.Â You will then fill the PVC with sand. 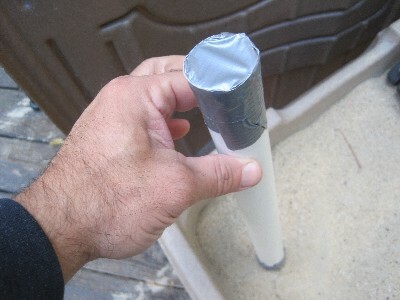 You will then cap the remaining end with more duct tape to keep the sand in place while the PVC is heated. 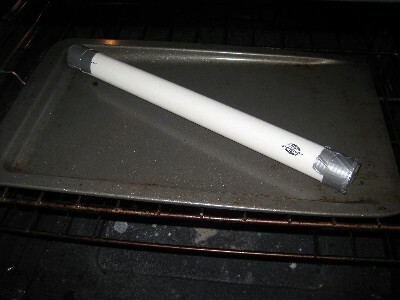 Preheat your oven to 350 degrees Fahrenheit.Â You will then place one piece of PVC on a cookie sheet.Â Let the PVC heat for 10 minutes (the area should be well ventilated with fresh air). Finally, remove the PVC with oven mitts and immediately shape the handles.Â You will need to hold the handles in the desired shape for a few minutes.Â I wrapped the full size ring handles around a paint can to achieve the circular shape. Lastly, you will remove the duct tape and pour out the sand.Â Some of the duct tape may be stuck to the ends of your PVC but it will not interfere with the performance of the handles. Ross, if you google playground trapeze handles, you’ll find various links to where you can buy them. @Tom – Yes, I’ve actually mentioned that before. The problem however is that many readers of the site live outside the US and have not been able to find anyone who ships (at a reasonable price) to their area. Many of the US companies also charge ridiculous prices to ship the handles. PVC can be purchased locally for a few dollars at most. a Ross just got finished watching that video on your suspension system rings/gymnastics rings. Just a quick question on breakage. I know it’s 1 inch PVC but can you let us know how strong it is and should we be worried at all about breakage. Also, can you direct us to a couple of exercises you have for the rings. Love the videos you do man. I’ve already created one of the T-bar the you show the video for. I pave roads for a living and have found the swings with the T-bar make my back feel indestructible. I lift swing and shovel every day and these exercises have made me feel 10 years younger. Thanks brother. PVC is very strong. No issues at all in that regards. As for exercises, there are countless options. A quick search of “ring exercises” in google will bring up loads of variations. How much did it smell when you heated up the PVC? I’ve been reluctant to do this one because of the potentail for the stink. Is this a project to do when you have the house to yourself for a while or is it safe to do while the wife is home? Brilliant work Ross – you just saved me 40 plus dollars!!! @Mark – It doesn’t smell, although you should have the area well ventilated (when doing any heating of materials, burning, etc.). This is particularly true for PVC. Not something you want to be breathing in. Ross, is 15 feet a standard length you’d recommend for the straps? THANKYOU! I can’t believe how well this works. I’m in the category of couldn’t find anywhere to ship at reasonable prices (australia) and I just got all of this for less than $10 at bunnings. Just tried it outside off of a gum tree and it’s shaping up to be my best investment yet in terms of gear! Also, I think it’s a good idea to tape up the rings for a better grip. This looks like a challenging cooking project. Thanks Ross! Just made my first pair with my dad. I really look forward to mixing up my workouts. Its people like you that make working out so much better! I just went to home depot, got the PVC pipe for $3.95, and made these rings in less than 30 minutes. I had some straps from an old agility ladder that work fine. This was incredibly easy to do, and if I can do it anyone can. Thanks a bunch Ross, these are going to be awesome to work with. Ross- Yours is some of the best stuff on the Web. This tutorial is GREAT. Just what I was looking for. 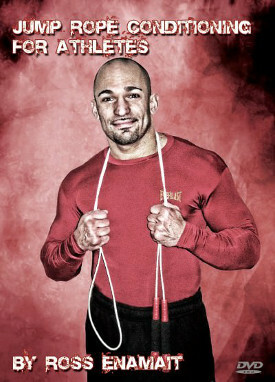 I’m planning to purchase one of your jump rope tutorials sometime soon. Ross, great idea. My grandson who is crazy about gymnastics wants me to get him rings and here is a fantastic and cheap method and we can have some fun making them too. Thanks a million. 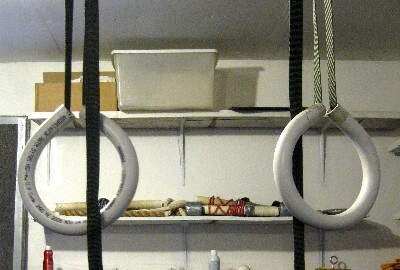 Hi Ross, the rings are made and hung in the garage. Grandson having a great time between his trampoline and the rings. Thanks. This looks like an awesome idea! Just one question… what is the best way to attach in my garage? Thanks for your video! Awesome tutorial! Just one question: those straps you say are 15 feet. Is that fifteen totally stretched out, or is it fifteen feet max when looped through the buckle? Hey Ross! Awesome tut, may i ask, how exactly do you attach or install the rings to your ceiling? What’s the best way? Thanks! Great tutorial. When you take the PVC pipes out of the oven, do you fuse the ends together while they ‘re hot to make the circles? I bought your two books and they are blinding! Yes, as mentioned within, you’ll need to hold them in position for a few minutes however. Can you please be more specific about the straps? OR tell me what the criteria is for the straps. Is it a maximum weight load? How they are made? I understand that it must be some sort of bulk strapping cut to a requested customized length, is that correct? 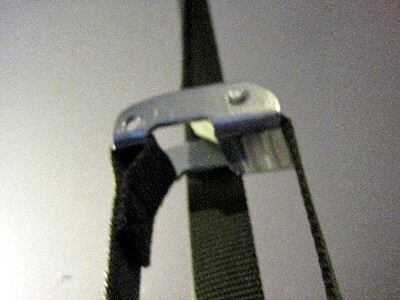 @Reilly – If you click the link to Strapworks within the entry, it will direct you to the same straps that I used (1″ Flat Nylon). The safe working load limit is 1000 pounds. 1000 pounds may sound like overkill, but I’d rather be too strong than risk falling. How did you attach the straps rings to your ceiling? I attach the rings to overhead swing hangers (the hardware used to hold a children’s swing set). wow, it looks like very cool! Great turorial, I ‘ll create in Germany to.